Dr Colin Theng is a highly-regarded, fully accredited dermatologist who has more than 20 years of clinical experience. An accomplished skin specialist, he is a frequent invited speaker at meetings and conferences on both the local and international stage. As a key opinion leader in the areas of psoriasis, biologic treatments, eczema, phototherapy and sun-related skin disorders, Dr Theng has served on many advisory boards and workgroups in his fields of expertise. Above all, Dr Theng is a friendly and caring doctor who believes in delivering excellent patient care and this is evidenced by the numerous service awards he has received, including the Healthcare Humanitarian award for his community work. Dr Theng graduated from the National University of Singapore in 1995 and went on to complete his training in family medicine, receiving his Masters in Family Medicine from NUS and Member of the Royal College of Physicians (MRCP) UK. 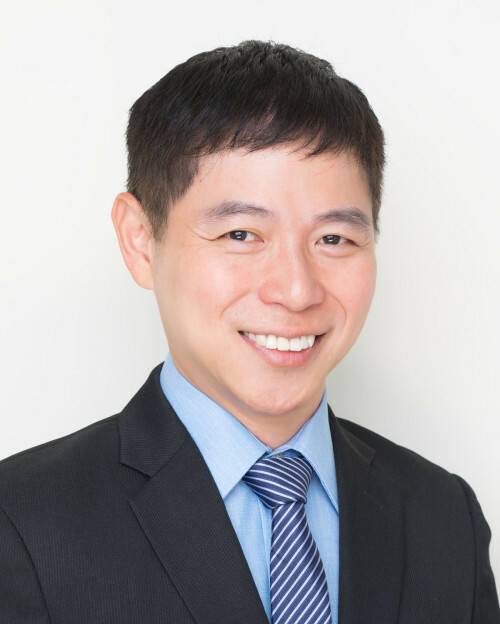 Dr Theng completed his dermatology training at the National Skin Centre and was a recipient of the Health Manpower Development Plan award (HMDP) to further his training in dermatology at Hope Hospital, Manchester in the UK, where he subspecialized in the areas of phototherapy, photodermatology and psoriasis. Through his training, he has garnered extensive experience in treating both Asian and Caucasian skin types. Prior to founding The Skin Specialists and Laser Clinic, Dr Theng was a Senior Consultant at the National Skin Centre and Adjunct Assistant Professor at Duke NUS. He was the former Chief of the Psoriasis Unit and Phototherapy unit at National Skin centre, where he managed the most difficult and challenging psoriasis and eczema cases, and the Head of Subspecialty clinics. He has vast experience in both medical dermatology and laser surgery, with over 10 years of laser experience. He pioneered the use of Metvix-PDT (photodynamic therapy) in Singapore for the treatment of actinic keratosis and skin cancer. Currently, Dr Theng is the President of the Psoriasis Association of Singapore, and is a Councillor with the renowned International Psoriasis Council. He is also the current Treasurer of the Dermatological Society of Singapore. A highly sought after speaker and a key opinion leader in the areas of Psoriasis and Biologic treatment for psoriasis and photodermatology, Dr Theng has given many lectures all over the world, most notably at the World Congress of Dermatology and the Asian Dermatology Congress and many other regional and local conferences. Dr Theng has frequently appeared on TV and in the press. He was featured in the TV episode of Body and Soul, Channel News Asia, over the radio and in Straits Times and many magazines. He has over 30 scientific publications in peer-reviewed dermatology journals and also contributed book chapters in the Textbook of Laser and Light Dermatology in the Asian Skin and the Asian Skin Atlas. Teaching has been a passion for Dr Theng and he has mentored many medical students and trained many doctors and aspiring dermatologists. For his teaching achievements, he was given the Dean’s Award for Teaching Excellence. A firm believer in giving his best service to patients, Dr Theng has also received many service awards in his illustrious career, including the Silver, Gold, Star and Superstar awards for Service Excellence. He also received the prestigious Healthcare Humanitarian award for his selfless volunteerism in community work. Dr Theng is grateful for the privilege to serve as a doctor and believes in giving his patients professional, yet individualized and personal care. He upholds the highest ethical standards in the treatment of his patients. Often described as a patient, friendly and caring doctor, you can certainly trust Dr Theng to do his best for you. In his spare time, Dr Theng enjoys spending time with his lovely wife Merlene and 3 children. He loves sports like tennis and table tennis and still plays tennis at a social and competitive level. Singing and performing is also his passion, and he actively participates in his church musicals and outreach programmes. Dr Colin Theng is a highly-regarded, fully accredited dermatologist who has more than 20 years of clinical experience. An accomplished skin specialist, he is a frequent invited speaker at meetings and conferences on both the local and international stage. As a key opinion leader in the areas of psoriasis, biologic treatments, eczema, phototherapy and sun-related skin disorders, Dr Theng has served on many advisory boards and workgroups in his fields of expertise. A firm believer in giving his best to patients, Dr Theng is a friendly and caring doctor who has received many service awards for delivering exemplary patient care.